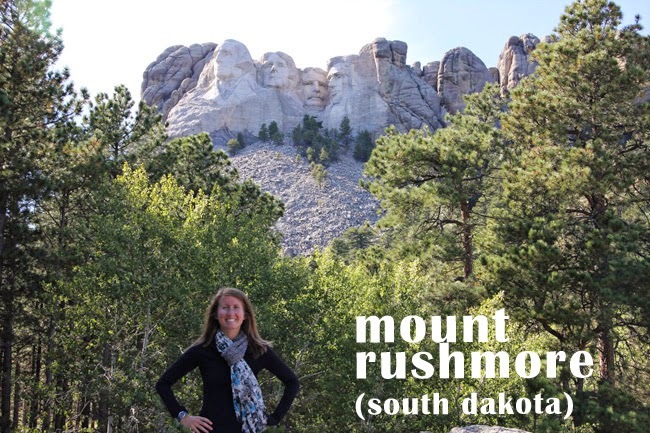 As you know if you've been reading this blog for the past few weeks, Jordan and I took a road trip to South Dakota Sept 11-16. See more pictures from our cabin in Keystone here, Carhenge here, Mount Rushmore and Crazy Horse here. Our entire South Dakota vacation was a date. On Sunday night we went into Rapid City and had dinner and went mini golfing. I finished all my 2013 resolutions. One of my blog posts kind of went viral for about a week. I published Part 1 of my "How to Start Running" series. 1) I checked "Do 3 Legit Pull-ups" off my bucket list. Watch the video here. 2) The sunrises on my way to work were out of this world in September. Check this one out. Completely unedited. I can't even. 1) Blog Talk #6! The topic is: quality vs. quantity. Find links to all the past blog talk posts here. 2) More South Dakota recaps. Yes, it's still happening. 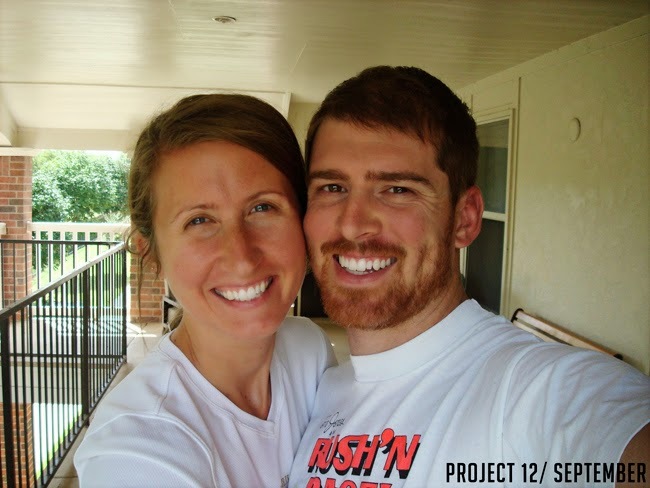 3) A Day in the Life in 72 seconds. I filmed clips of my day and put them together in a video that's a mere 1 minute, 12 seconds long. 4) Life of an Editor part 2: answering some FAQs. 5) Runners Tell All on October 21. The topic is: your most memorable running moment. This can be anything. Funny, happy, sad, embarrassing, exciting... The sky is the limit! 6) Linking up with Kiki on October 22 for another round of The Circle. This month's topic is all about books! I'll be talking about the books I've read so far in 2014 and telling you what book I would take with me to a desert island. Housekeeping question: Do you like a preview of what posts I have coming up, or do you prefer to be surprised? Actual question: What are you most looking forward to about October? One of my best friends is coming from Illinois to visit this weekend, and I can't wait to see her! I like the previews--they give me things to watch for and look forward to--but I also enjoy being surprised by topics you slip in unannounced. Congrats on the pull-ups! As someone with little upper-body strength, I appreciate the difficulty of that achievement! I am seriously impressed that you have finished all your resolutions. I still haves ones from 2010 that I haven't completed. One of my 2014 ones is to start running again. At one time, like 8 years ago, I loved that hobby. I am excited to read your posts on it! awesome about the pull ups! & i am still dreaming of South Dakota ! I love October because so many fun things are happening! Today is my husband's birthday, this coming weekend I'm going to visit my bestie, and the weekend after that we're going camping! Wow, two selfies in one! And wow wow, that sunrise! And wow wow wow, did your sidebar switch sides (or am I going crazy)? Oooo which post whet viral?? Was it the baby/running one again? Or a new one?? So I'm thinking of adopting your photo at the first of the month next year! Sounds like a fun and productive September!! 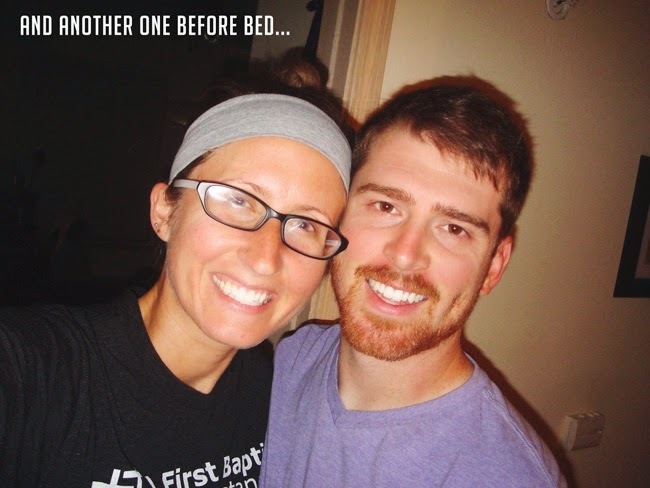 Congrats on finishing up your goals! I'm looking forward to going to the zoo and other first in our San Diego adventure. I love and am super impressed with the previews. I have no idea what I'm posting next week! Way to be organized! Secondly, I'm suuuuuuuuper excited for this Blog Talk post of yours. I love all of them and get giddy-little-kid-excited when I find out that you're going to share another one. That said, I'm liking this preview! Normally, I wouldn't be a fan, but I'm definitely a fan of yours. And kinda really excited that you're linking up with The Circle for this month! What a fun monthly roundup! I like knowing what you are posting for the month. I was considering doing that myself! 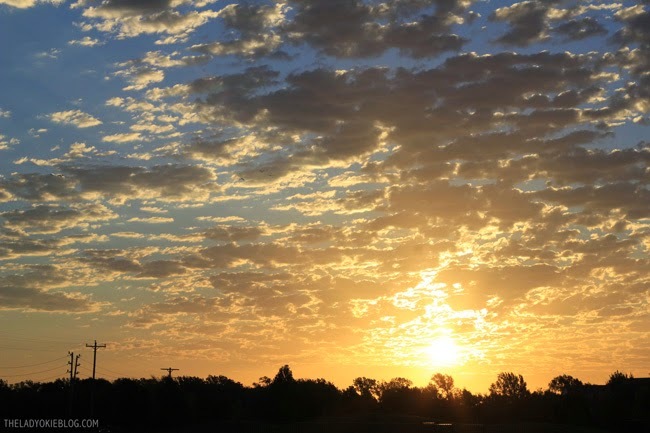 That sunrise is just gorgeous! I do like the preview, I don't know how you do it since i am so last minute! Haha! Blog talk #6! Very excited! I love reading these! They are so fun and I love seeing what people say in the comments! 72 seconds of you life! Whoooooooo! It's going to be epic! I just know it! Nothing super exciting happening in October, so I'm looking forward to doing nothing, we don't have that many nothing months. Plus, November will come and then December and those two months are always hoppin! I could have sworn that the end of August was yesterday so this post is kind of freaking me out. September was an awesome month for you guys! Personally, I'm not much of a "preview of next month's posts" fan, I like surprises, possible because of the surprising nature of my own blog, plus I have noticed many times when a blogger says she's going to have a certain post coming out at a certain time and then she doesn't and--I understand that, because I don't like commitment myself, but it's awkward when people remember. September sounds like it was pretty awesome! Sorry that "Stella Bain" wasn't very enjoyable (I've never heard of it...but it's always disappointing when that happens). I'm super impressed by the previews. I think every time I've said "oh, and I'll blog about THIS in the near future" it's basically a guarantee that I will never mention it again. 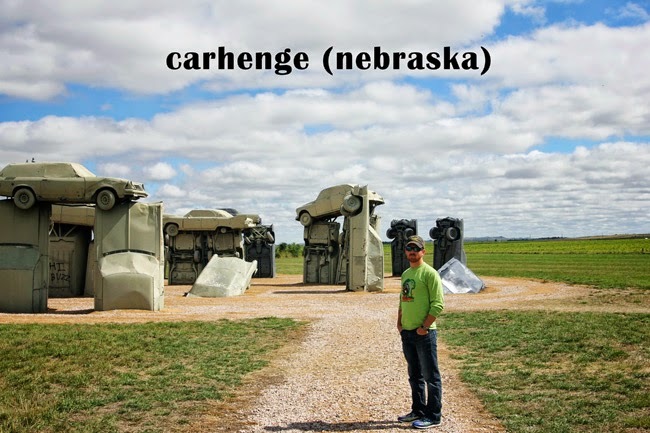 and I'm SO BEHIND on these posts but I had no idea there was a Carhenge! Jon's sitting next to me and he saw the photo and he hollered WE HAVE TO GO THERE in my ear.